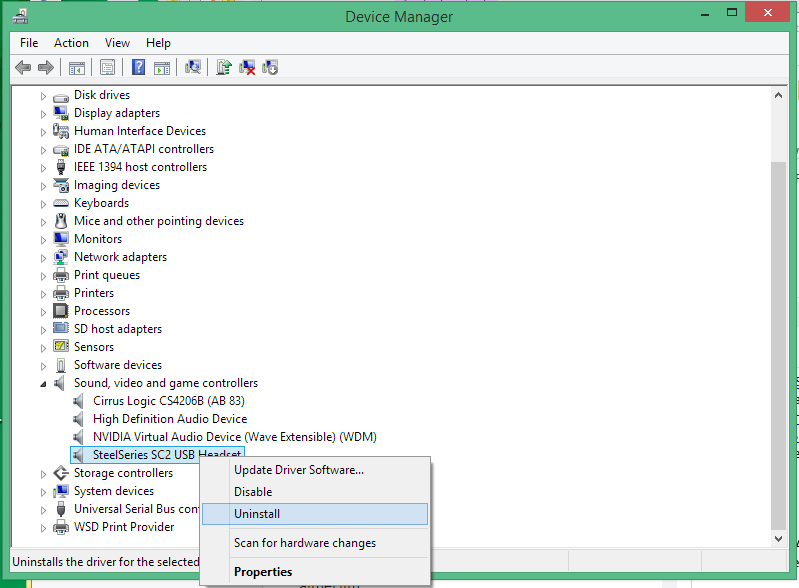 1) Open Control Panel and navigate to Device Manager. 3) Right click the Siberia Elite / 650 as pictured in this link: Siberia Uninstall. 5) Unplug the headset from the PC, wait 10 seconds, then plug it back in. The issue should be resolved at this point. If not, please file a ticket with SteelSeries Support.